The JDC-International Centre for Community Development (JDC-ICCD) is JDC-Europe’s research and evaluation unit. 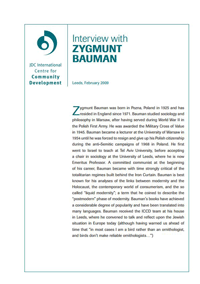 Founded in 2005 by the Joint Distribution Committee (JDC) and the Buncher Leadership Programme, JDC-ICCD is devoted to providing an in-depth perspective on the phenomena of Jewish community, identity, and social welfare. Through applied research, JDC-ICCD analyses ongoing trends and changes in the Jewish world, while measuring and evaluating the impact of community initiatives in the field. 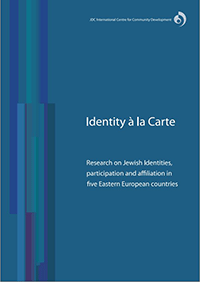 The Centre generates meaningful and scientifically constructed data that can influence decision-making processes for JDC and for Jewish communities and other stakeholders across Europe. Leatid Europe is one of JDC’s longest-running leadership initiatives, training over 700 lay and professional leaders from 70 communities and organizations. Most of the new generation of lay and professional leaders in Europe have benefited from its seminars, management courses, planning sessions, and in-service training. 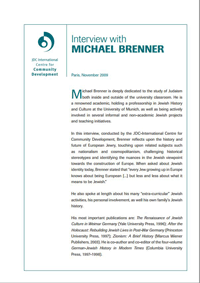 Junction, an initiative of the JDC, the Schusterman Foundation, and YESOD, seeks to empower young Jewish adults and professionals to engage with the pan-European Jewish community by providing innovative international opportunities that connect them to each other and to meaningful, relevant, and forward-looking Jewish spaces. YESOD aims to address the professional development needs of emerging, experienced and senior Jewish educators, and also focuses on the Jewish Education needs of para-professionals (part- timers and/or people who work in Jewish education for a number of years and move on), community development professionals and lay leaders. The JDC Europe Community Initiative Fund encourages Jewish communities and communal organizations to pilot new initiatives or advance key programmatic expansions. In certain cases, the Fund may support existing programs in their current scope. Through this Fund, JDC also hopes to strengthen relationships with communities that have had limited connections with JDC.